Sad state of affairs at the Dairy Dip in Belle Chasse. I judge milk bars, restaurants that earn their living off dairy products, by their ability to turn out a superb pineapple milkshake. 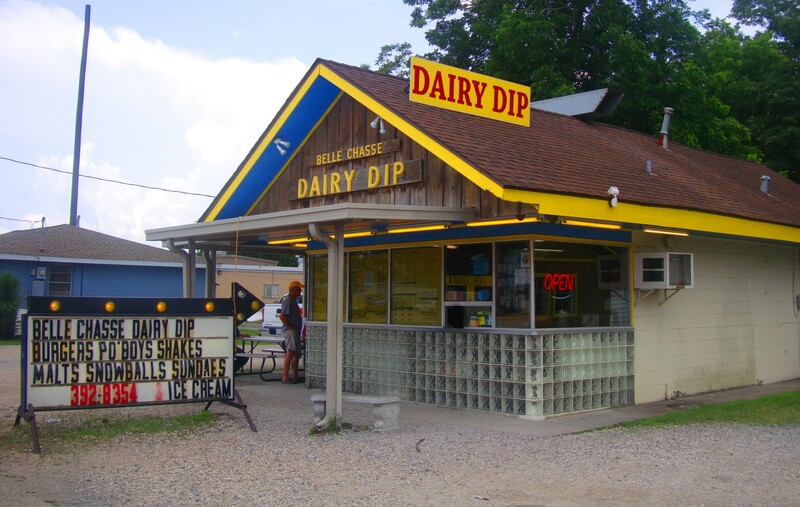 My platonic ideal exists in the rural hamlet of London, Kentucky at a tiny restaurant called Dairy Dart. There you will find a pluperfect cold mix of vanilla ice cream permeated with dozens of delicious, fruity pineapple tidbits enswirled with whole cow’s milk into a melange of deliciousness that is unsurpassed in western kitchens. The pineapple milkshake at the Dairy Dart in Belle Chasse, Louisiana is a naked fraud with scantly any pineapple. The concern has been open for 59 years and they may have menu items worthy of ordering but it would take a signal change in that kitchen for me to take another crack at that redoubtable pineapple milkshake. This entry was posted in Louisiana Daily Photo and tagged belle chasse, dairy dip, Louisiana Daily Photo, rl reeves jr. Bookmark the permalink.